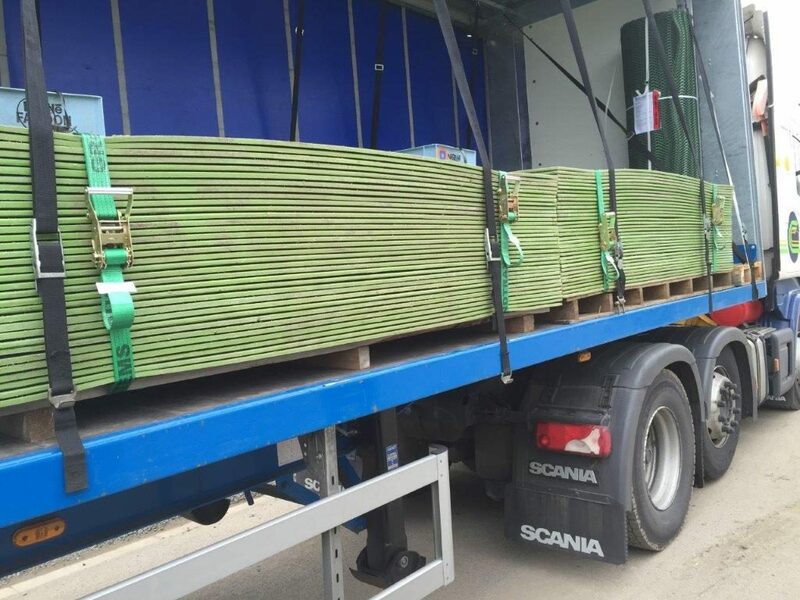 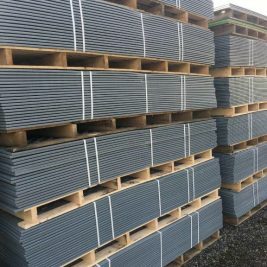 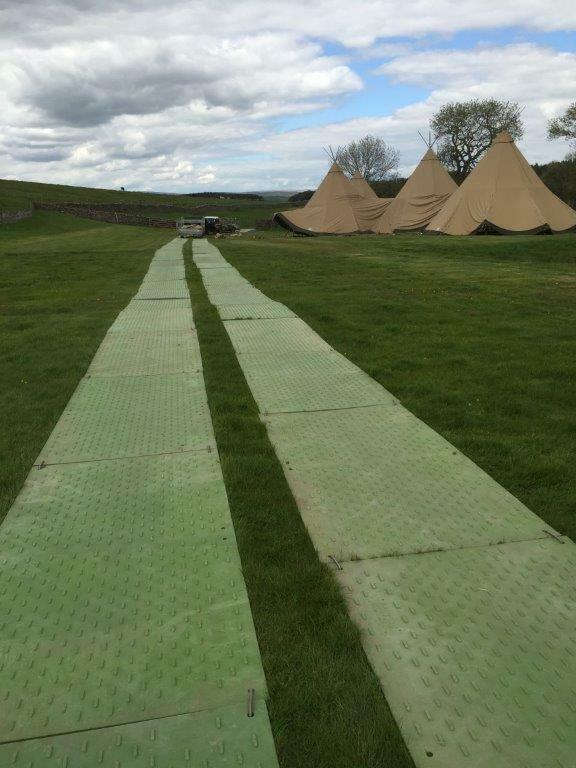 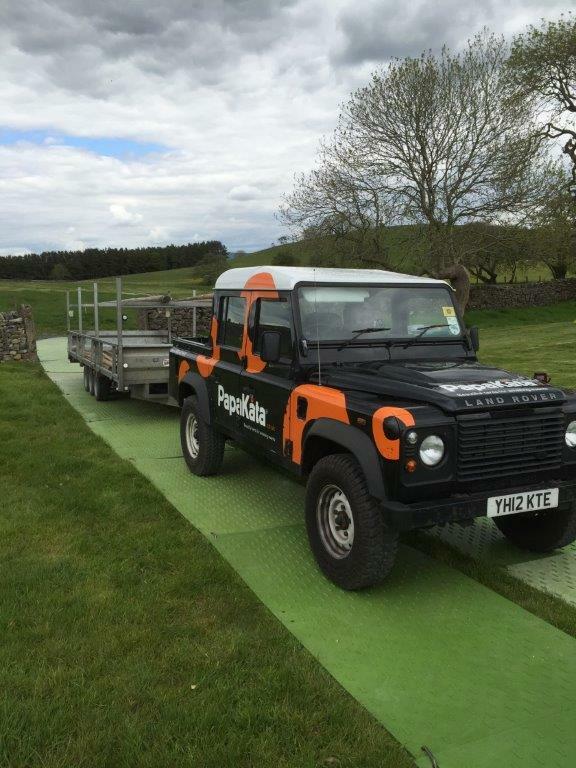 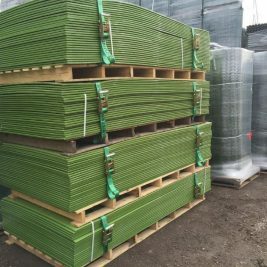 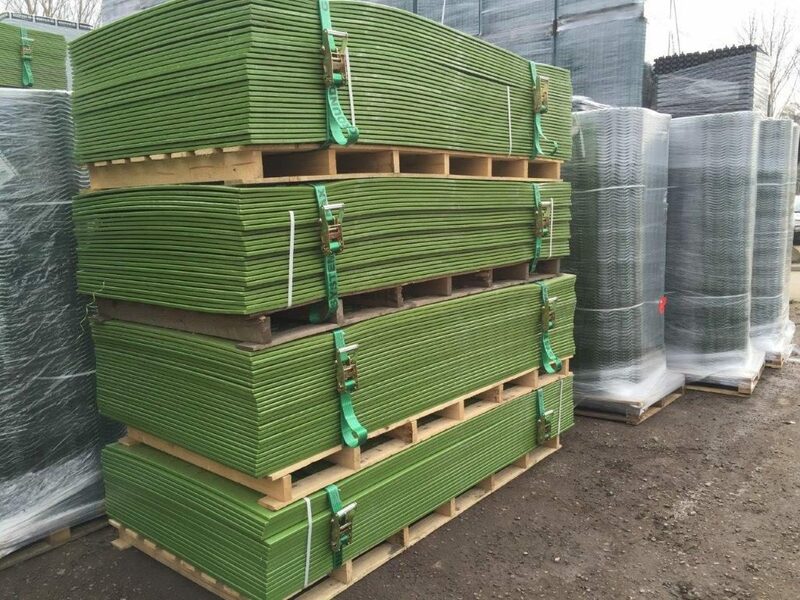 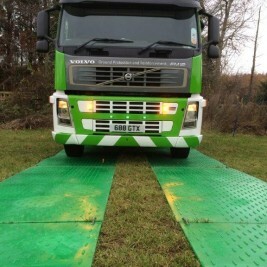 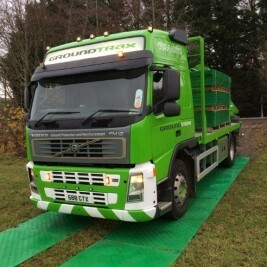 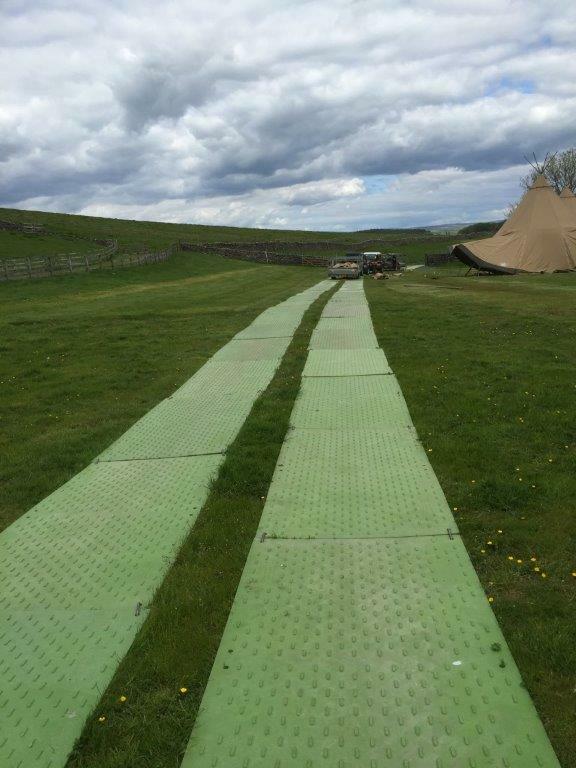 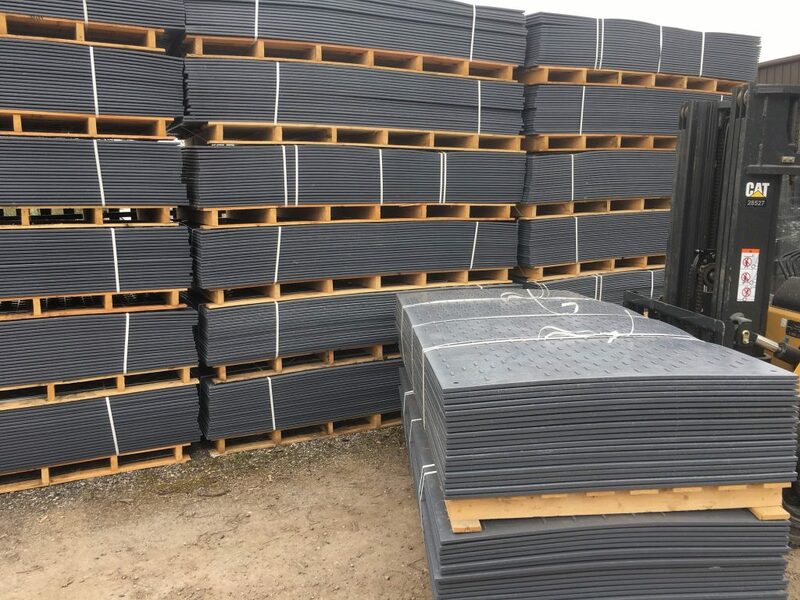 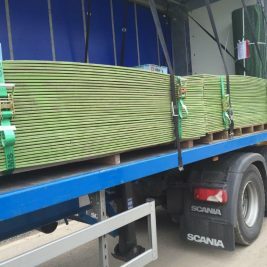 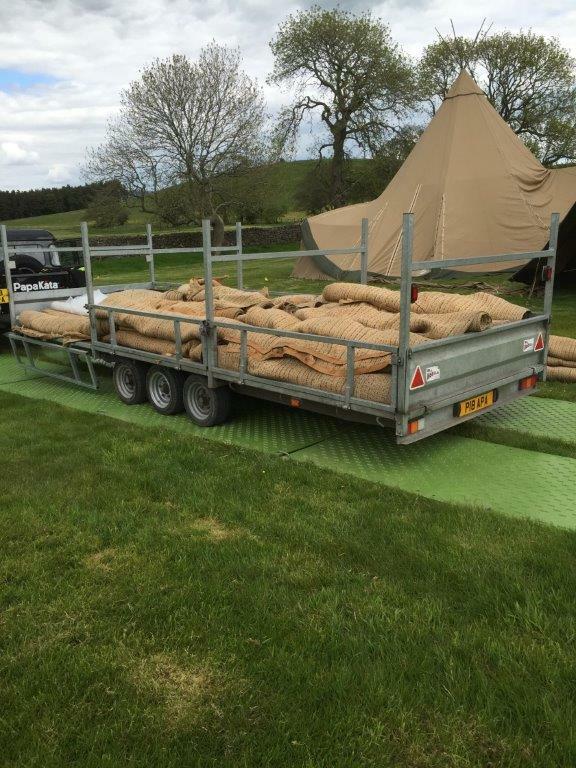 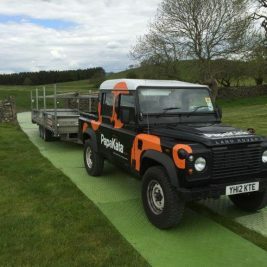 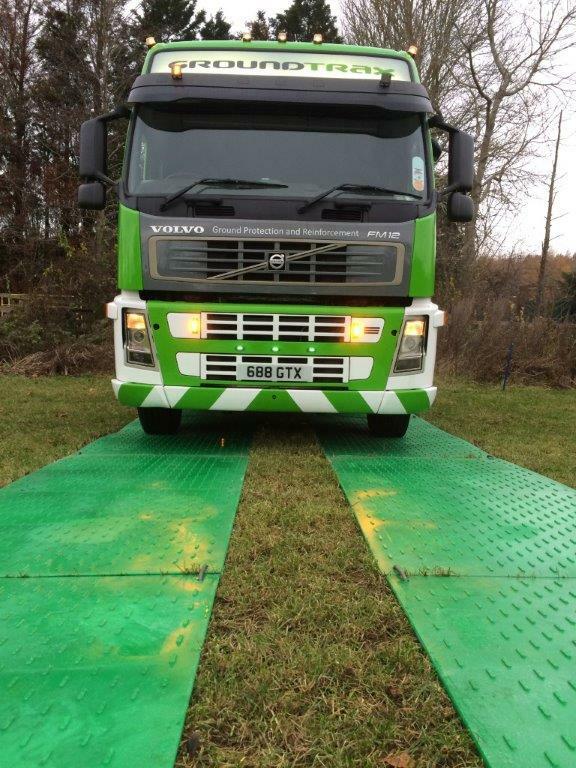 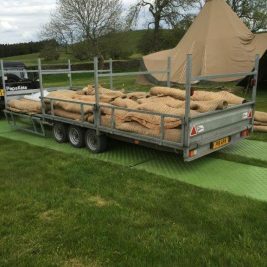 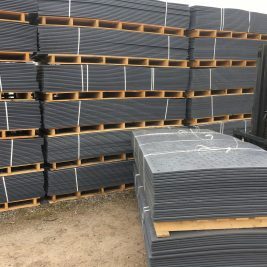 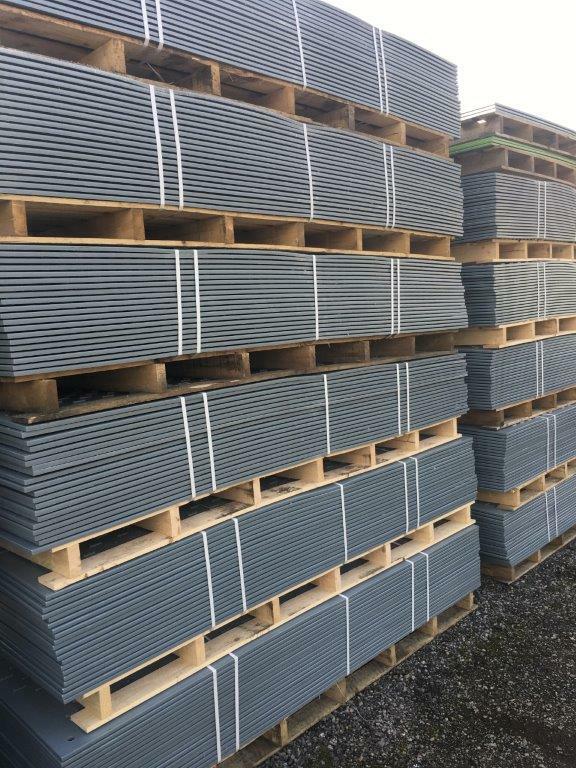 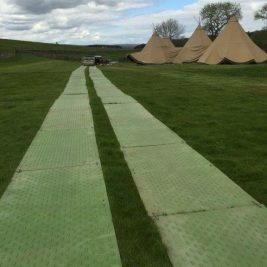 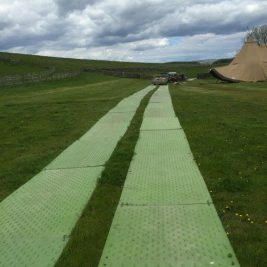 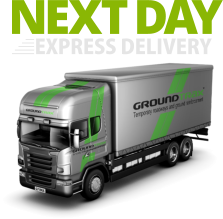 We keep stock of temporary trackway panels for purchase ready for immediate dispatch or collection, and can deliver using our own transport, nationwide pallet delivery companies or if you prefer, your own transport. 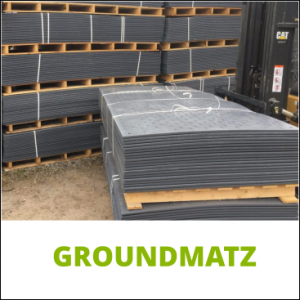 NOTE: Our 2018 stock of GroundMatz are grey in colour. 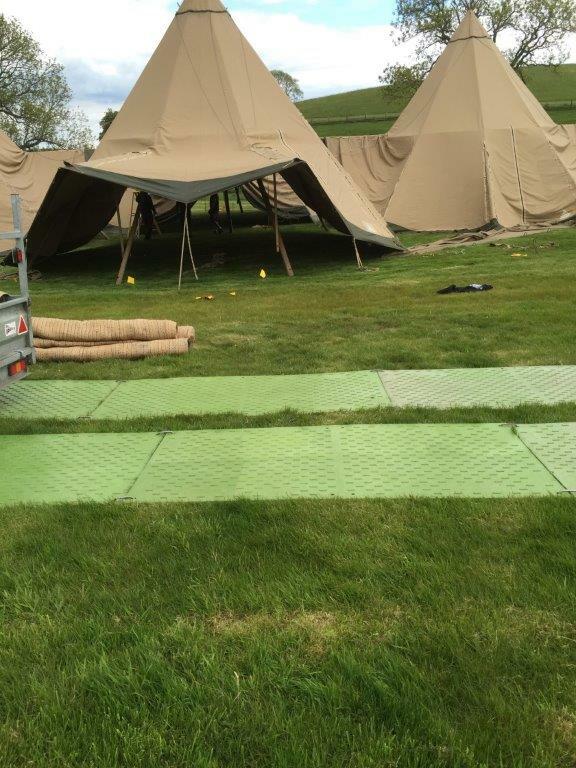 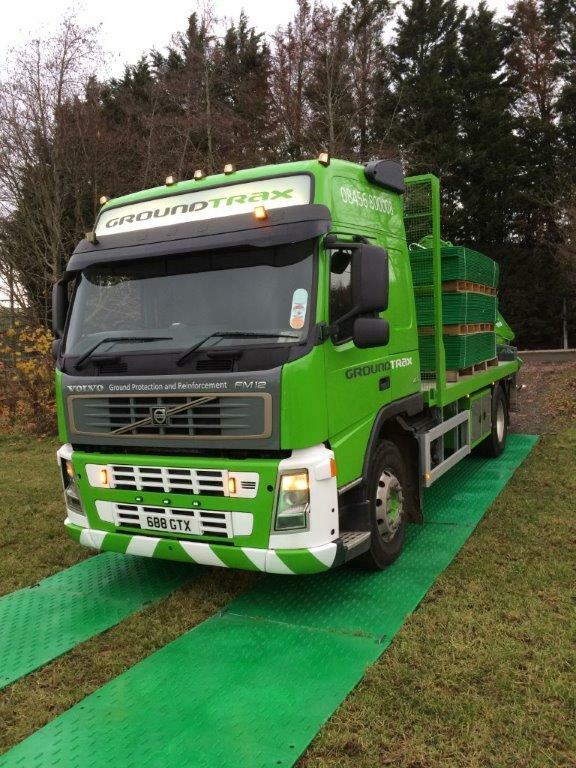 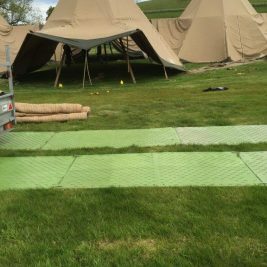 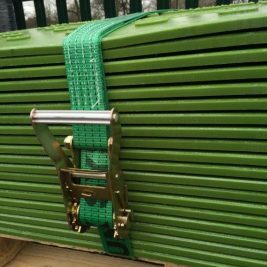 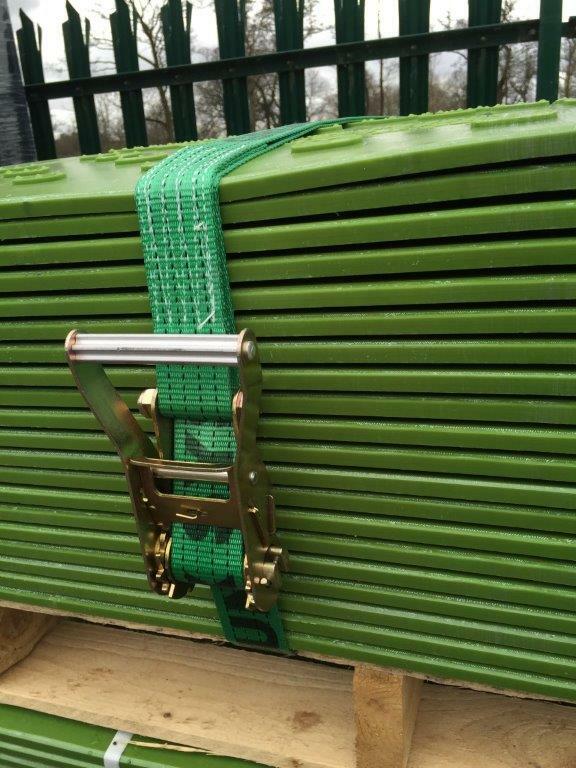 Each ground protection mat sent out is securely strapped to a timber pallet, each of which can hold up to a maximum of 50 panels. 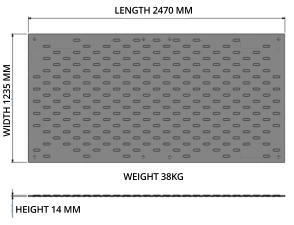 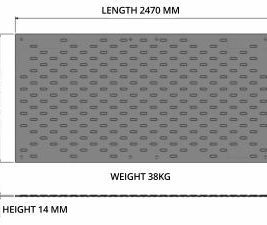 Weighing approximately 1200kg, single, double and ‘U’ metal joiners can be supplied if necessary, or alternatively, strong black cable ties. 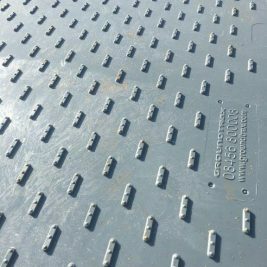 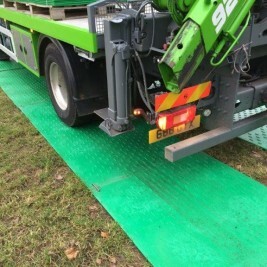 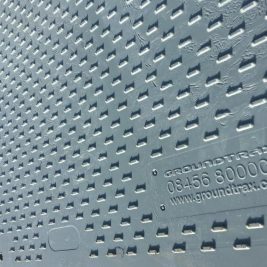 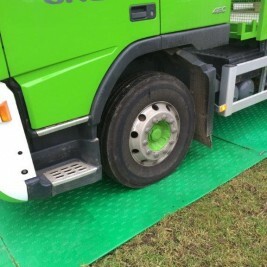 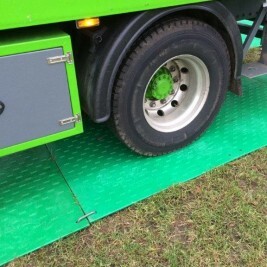 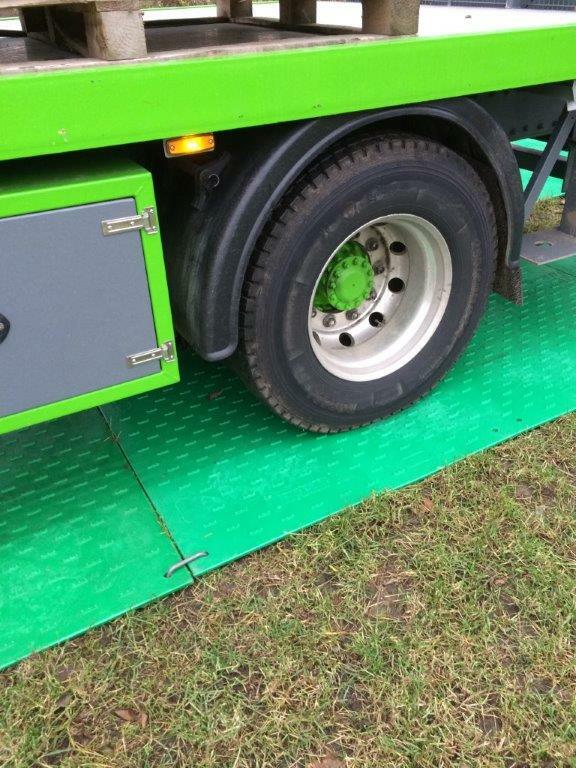 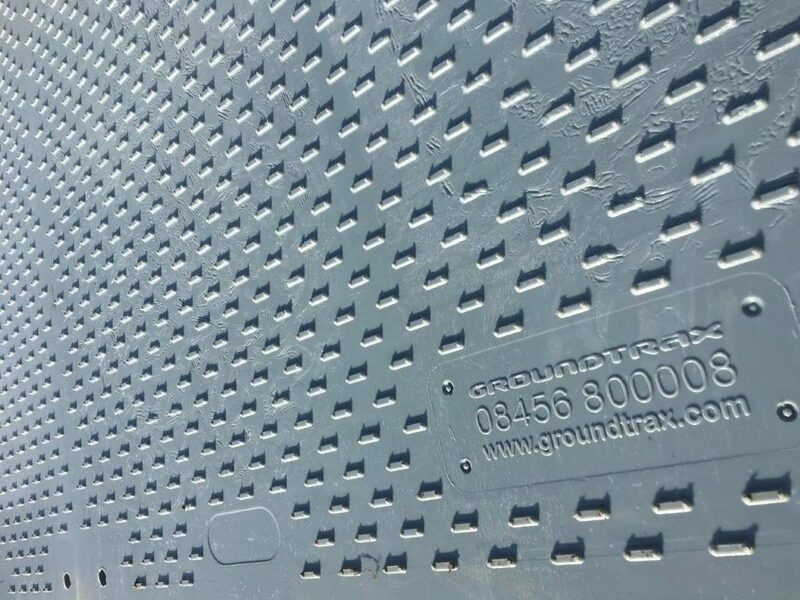 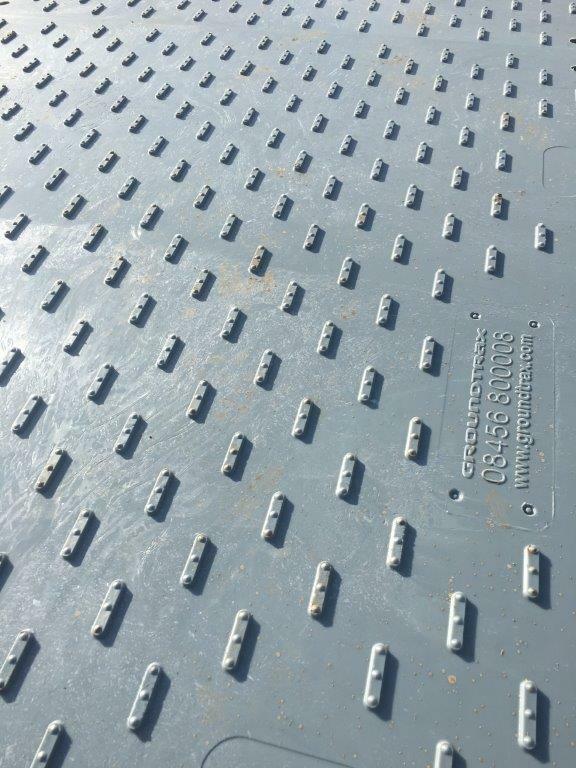 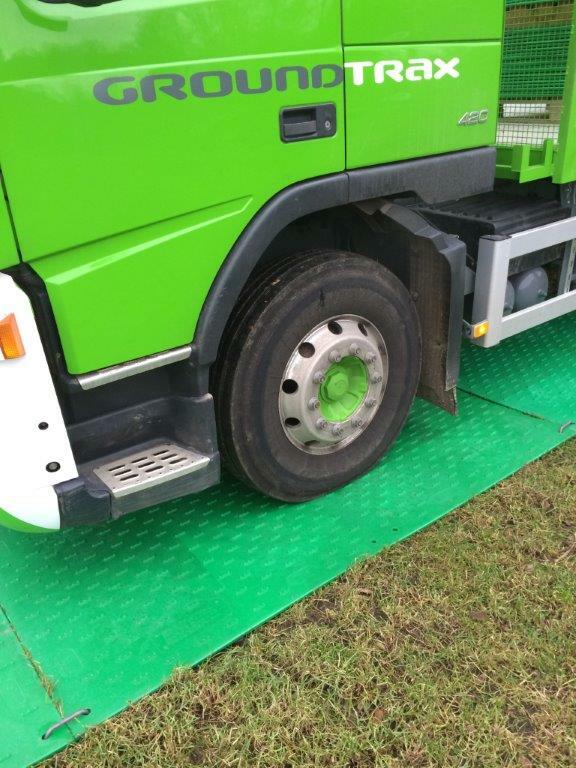 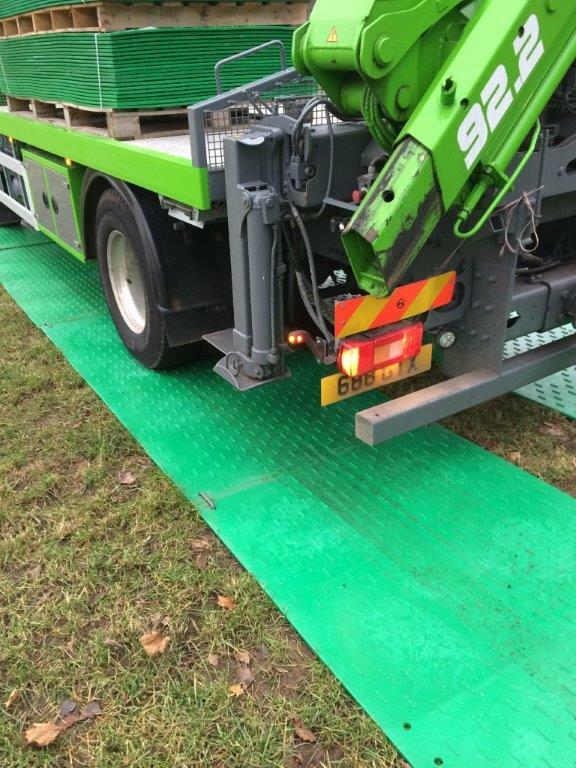 As with all temporary roadway systems, our panels are not suitable to use with steel tracked excavators as this could result in damage to the panels.